The St.Hilaires: Fashion Faux Pas? 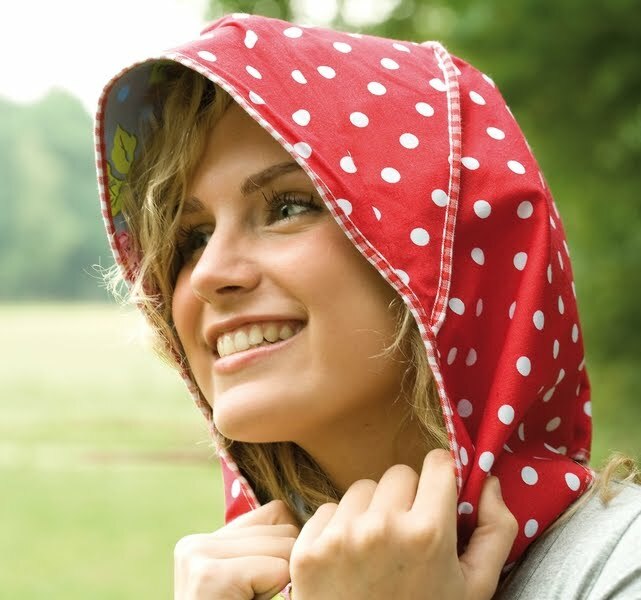 I'd really like to start using those rain bonnets that are stereotypically reserved for old ladies. In all seriousness - think of the practicality! Here in Washington, who even uses an umbrella anymore? They can be bulky, something extra to hold, and awkward. Yet I would still like to have a way that I can keep my hair dry, especially on the days that I actually try to make my hair look good. I have one problem... my sweet husband would never want me to wear one of these!!! So out of respect him, I am going to resist this temptation with all some of my might. Actually, in writing this post I found some "trendy" rain bonnets - Here is a an etsy store that sells bonnets made out of umbrella fabric. And here is one being sold on a European website (I really have my eye on that one!). Maybe he would go for one of those? I could probably be convinced to wear that polkadot one. It was great to see you last night - John is getting so big! I kinda like the blue one. Umbrellas are so annoying. I don't like those visor rain hats much at all but I have worn the pleated 'concertina' type in the rain ever since I was about three and Mum had to tie the ties for me. Now I'm early 50s. With a proper nylon raincoat they're essential in sports/concert crowds when it's wet, and so much better than those awful cheap plastic monstrosities they sell at those kind of places. I even have them on under the umbrella sometimes for that moment between putting the brolly down and getting into the car. Even my teenage daughter carries one for emergencies and has worn it at least twice recently. I posted the comment above. My tag is 'Helena Handcart' and I am from Melbourne, Australia. 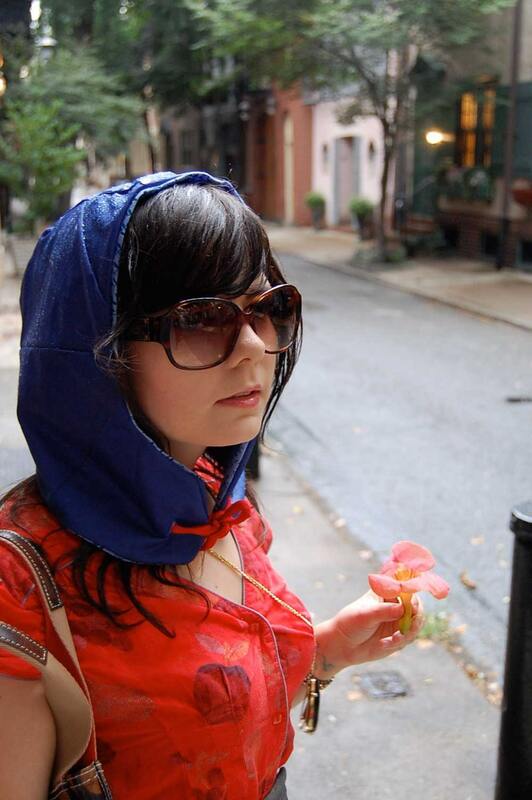 When I was working with predominantly Puerto Rican women (whose fashion sense I love, because there are no implied apologies for looking beautifully feminine), they would wrap their heads in scarves if it was raining to protect their hair. I always thought it looked kind of pretty and feminine. I love the polka dot one! I might wear that!